This document demonstrates how to set up a database integration using an Agent. In order to integrate a database using an Agent, first create an Agent along with the data source, initial catalog, user ID and password values for the database connection. After an Agent is downloaded, installed and registerd the integration process can be set up. 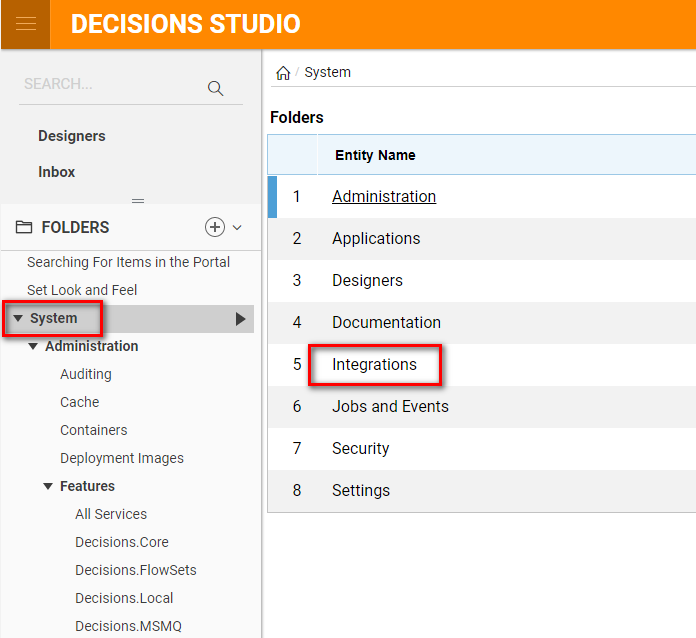 Begin by navigating to the folder System > Integrations > Databases. Right-click Databases	then select Create Connection. The example requires an Agent to be registered and intalled prior to integrating with SQL database. 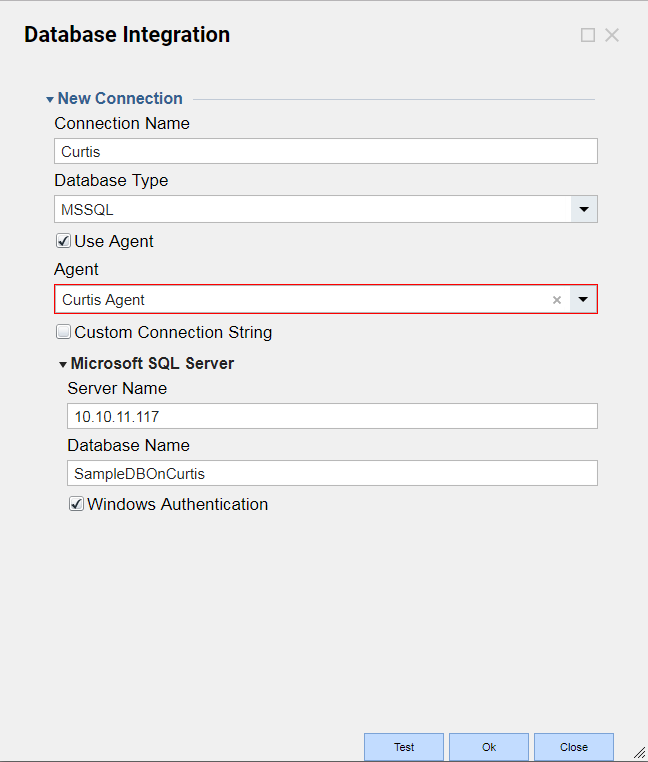 When the Agent is installed, use it to integrate with the sample database. 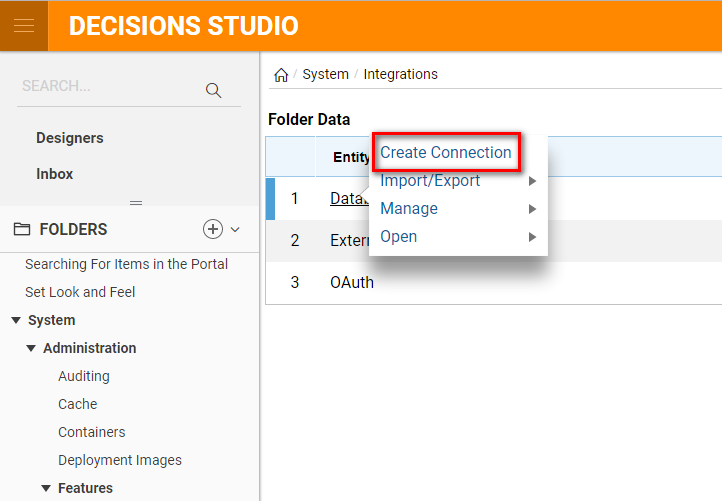 Navigate to the folder System > Integrations > Databases	right click and select Create Connection. Right click on the entity name and then select Create Connection from the action menu. In the Database Integration settings, configure the properties under Agent and select the Registered Agent from the drop down. Next, test the connection or select OK when finished. 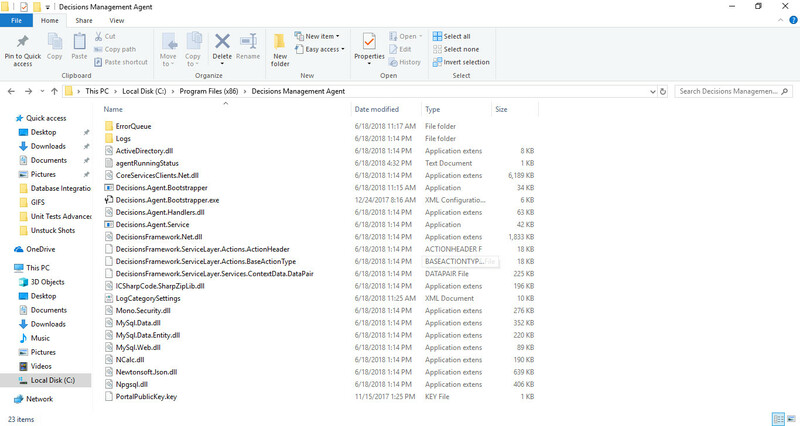 After an Agent is installed and the database connection is integrated navigate to services in Windows. Locate the service is name called Decisions Management Agent. Right Click to view properties and change the log in information. 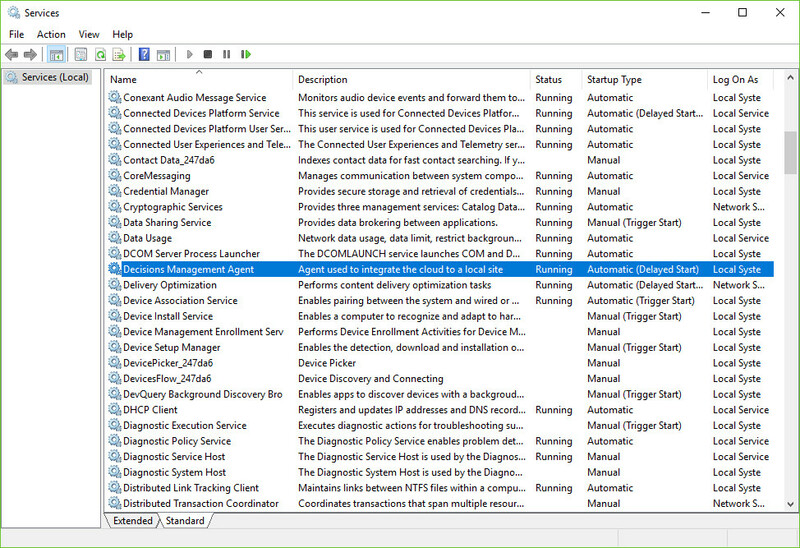 The configuration file can be located at This PC > Local Disk > Program Files (x86) > Decisions Management Agent.